15 year-old Daejzia Morgan Alexander has been located and is safe with family members. We would like to thank everyone for their assistance in locating Daejzia. 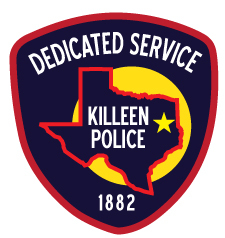 Killeen Police are searching for a 15 year-old female Runaway. On Thursday, November 9, 2017, 15 year-old Daejzia Morgan Alexander was reported as a Runaway to the Killeen Police Department. Detectives with the Criminal Investigation Division Runaway Unit were told that Daejzia was last seen on Thursday, October 26, 2017. Daejzia is a black female with black hair and brown eyes, approximately 5’ tall and weighs approximately 90 pounds. Detectives continue to search for Daejzia and are asking anyone who has seen her or knows of her whereabouts, to contact Crime Stoppers at 254-526-TIPS (8477) or go online at www.bellcountycrimestoppers.com or text BELLCO along with the tip to 274637. Text HELP to 274637 for help with the tip or text STOP to 274637 to stop the tip. Message and data rates may apply. All information is anonymous and confidential; if your tip leads to the arrest of the suspect (s) involved in this case you could be eligible for a reward up to $1,000 in cash.